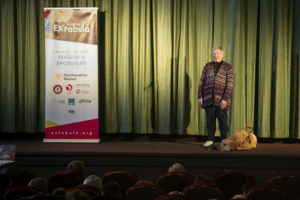 While the recent snow may have Milwaukeeans thinking it’s the last straw for winter, Ex Fabula hosted its last StorySlam of Season 9 on the theme of “Last Straw” at the Times Cinema on April 10th. A full house enjoyed emcees Leah Delaney and Nelson Lopez read the audience’s UltraShorts to think about the many ways we experience the “last straw” in our lives, and state representative, Evan Goyke, welcomed everyone to “The [Washington] Heights” neighborhood. 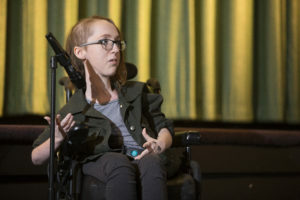 The first name pulled out of the hat was Emily Jamar, a first-time teller who told the audience her hilarious and sometimes frightening experiences with hiring personal care workers from Craigslist. 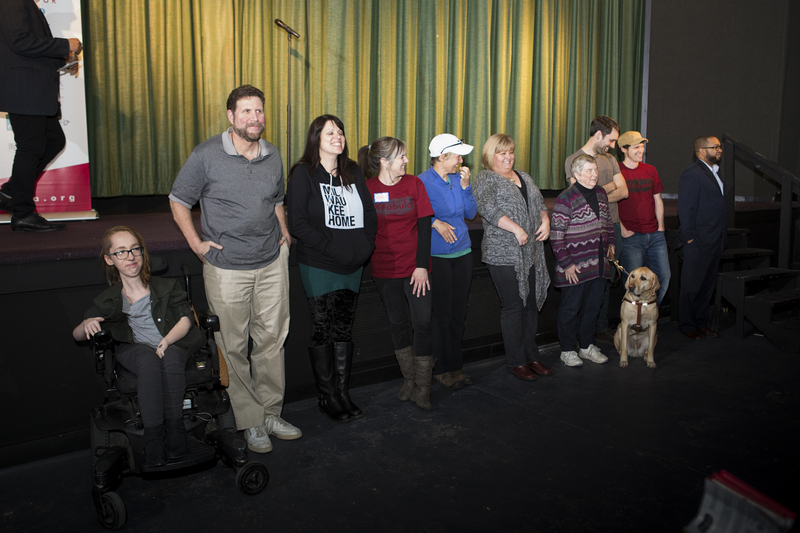 Mark Steidl was the night’s second storyteller, and he shared a story from his childhood from when he had to deal with several bullies at school and what happened when he finally stood up for himself. Molly Snyder, a local music journalist, rounded out the first group by explaining how she ended up getting kicked out of a Neil Diamond concert…twice which was her first time not making deadline. 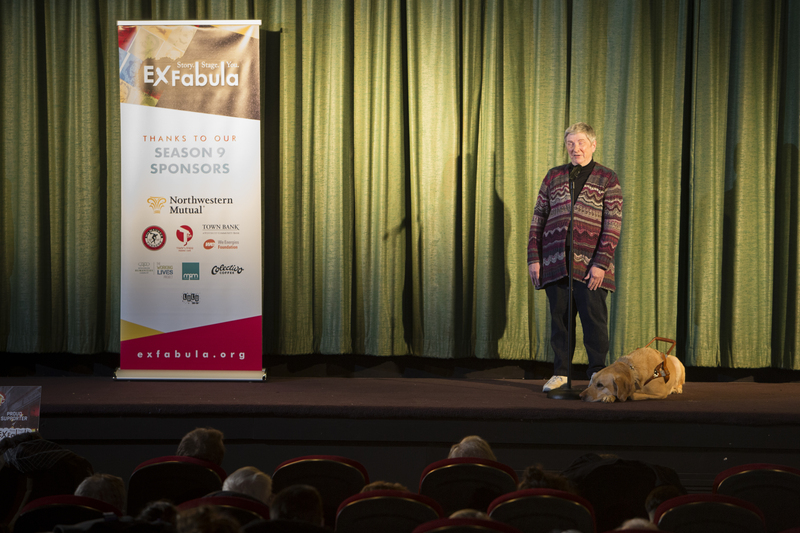 Storytellers 4, 5 & 6 are always reserved for those who have never before told a story with Ex Fabula. Katherine Biehl took the stage to tell a vindication story of a real jerk she had briefly dated in her youth. Her last straw was when she saw him years later, making out with someone despite him being married with kids. 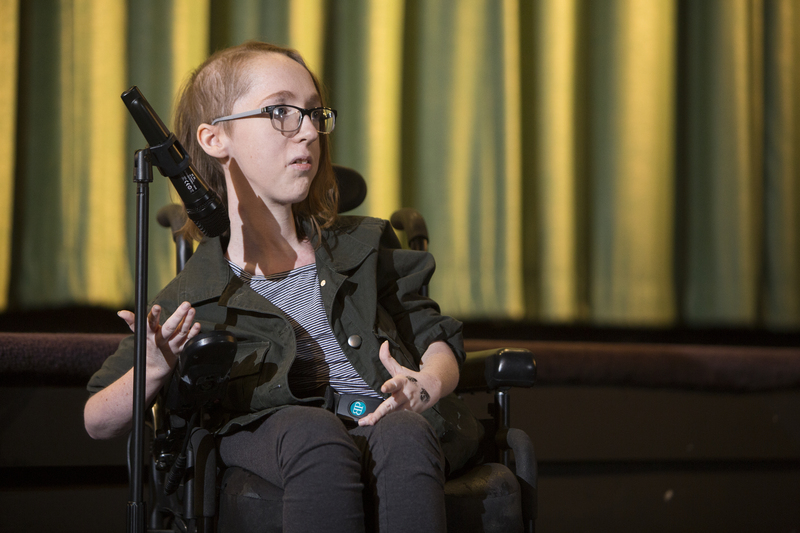 Leah Sealey shared her story about standing up to a bully on the playground, and that bully happened to be the mother of a kid from her neighborhood. Becky Spice shared her story about almost giving up on the idea of enjoying a campfire on her own for the first time after her divorce. In the end, she found happiness in settling for a campfire smoke instead of a roaring fire. A bonus storyteller was added to the lineup with Rill Woolnough, who shared her story about almost hitting her last straw with a new service dog she had been assigned and how the transition from one beloved dog to another was a challenging one. The eighth storyteller of the night was Peter Woods, who shared his “last straw” love story that almost didn’t happen due to timing issues and choices he had to make as an early twenty something. The last storyteller of the night also turned out to be the audience favorite. 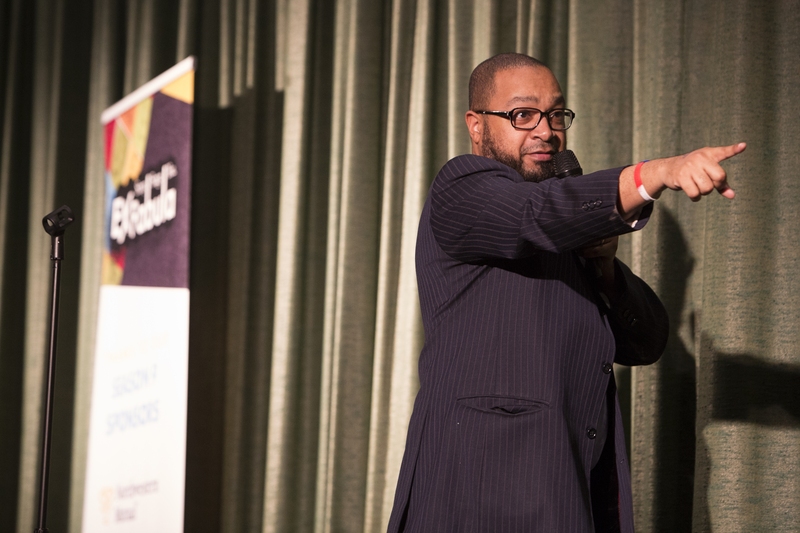 Eugene Pitchford, an Ex Fabula Fellow, told his story about an out-of-control middle school student who was literally caught with his pants down while refusing to leave the school building to go home for the day. The fact that several teachers saw this student running down the hall wearing Mickey Mouse underwear must have had a profound effect on the boy, as he went from being a 0.0 GPA student to earning a 4.0 in several months flat. Join us for the Season 9 All Stars show at Turner Hall Ballroom on Friday, May 18th. 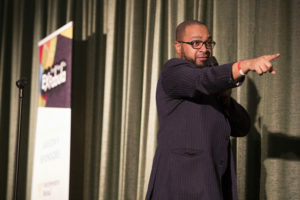 The audience favorite selected at each month’s StorySlam will duke it out for ultimate bragging rights on the new theme, “Connection.” Doors open at 6:30pm and stories begin at 7:30pm at Turner Hall Ballroom. Get your tickets today by visiting Turner Hall Ballroom’s ticket page.